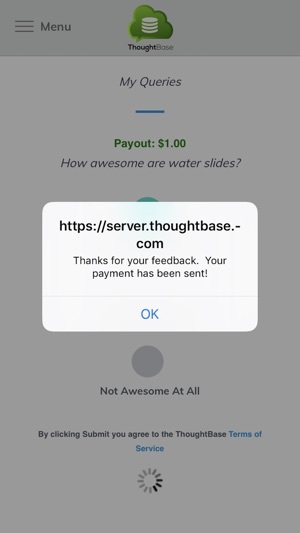 ThoughtBase - the app that pays YOU! 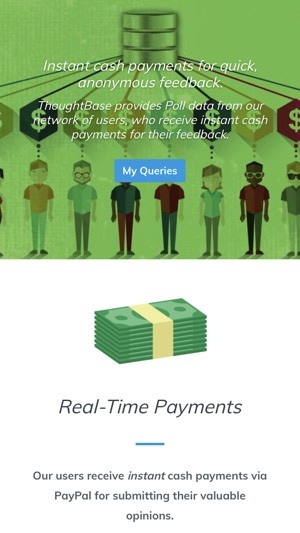 Join the ThoughtBase network and get paid cash for simply providing anonymous feedback! Consumer feedback is critically important, yet hard to get since most people are asked to volunteer their time and data with no real incentive. ThoughtBase is a service that aims to provide fast, quality data by incentivizing users with INSTANT cash payments. We provide a direct transactional pipeline between our users and business customers, where private, anonymous feedback is purchased with cash in real time via PayPal. All you need is a PayPal account and this app, or access to this site on any modern desktop, tablet, or smart phone. If you allow notifications, we'll alert you every time there's a new Query, otherwise you can just check back periodically. When a new Query arrives, just click the link, answer the questions, and get paid instantly! Our Queries have a limited number of respondents and operate on a first-come-first-served basis, so be sure to respond quick! If you have any questions, comments, or problems, feel free to contact us. New! Upload a profile photo using your iPhone's camera, or select one from your photo album. I'm on so many survey apps and this is by far the best. You take one survey and get $5 put directly into your PayPal, you don't have to wait til you've gotten $10 or $25. The surveys are also like 8 easy yes or no questions that take like 2 minutes to complete. 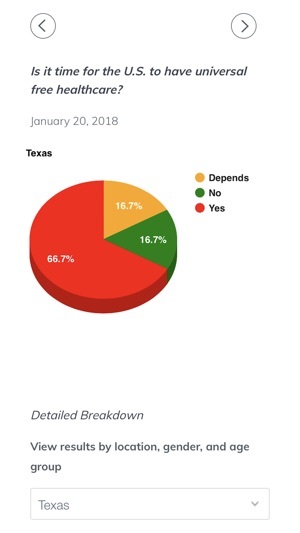 You also won't get rejected from the surveys. The only downside is that they don't constantly have surveys, but this has made me more money than any other survey app. They also have quite a bit of political surveys, so if you aren't involved in politics that might get annoying. Yeah, there aren’t many queries. But it’s first come, first serve. There is a new query about every 2 days, if you’re unlucky like me. But you get paid at least $1 right away. And for those of you who didn’t receive the money, you may need to check your email first. 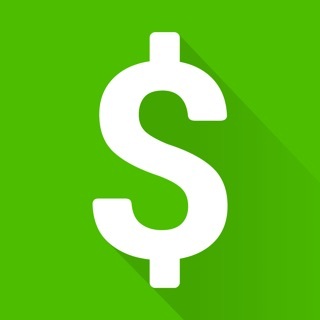 This is probably one of the best apps for getting money quickly. Why don’t I get any surveys??? Haven’t had any queries thought there might be a glitch so I wrote them to let them know. They wrote back saying they did some some issues w/notifications and sent me a quick survey for $1 PayPal the first and last 1 I’ve gotten since Dow this app btw. I took the survey and they did give me $1 in my PayPal account. It was very quick and easy, but since then nothing else no queries. Also every time I check the app I have to log on why can’t I stay logged in does that effect me not getting any surveys??? Please fix the bugs thanks! 101 Ways to Make Extra Money on the Side!